Danny G., Ross Anderson, Lee Hamblin (programming). Ronny Jordan emerged from the British club jazz explosion of the 1990s seemingly determined to salvage the jazz guitar from middle class cocktail bars and make it hip again. He had a world-wide hit with his jazz-funk cover of "So What" and with The Quiet Revolution had two acid jazz compilation favourites released: "Season For Change", with Gangstarr's lead rapper Guru, and "The Jackal" featuring poetess Dana Bryant. The latter being surprisingly disconcerting for a dance hit: a haunting story of a mysterious ghetto figure it aims at the head as well as the feet. 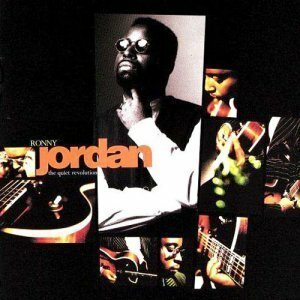 Throughout the album Jordan's playing is accomplished rather than amazing and is usually to be found propelling amiable jazz-funk tunes. His playing is neat and compact, and if it lacks a little emotional depth it is attractive nonetheless. So maybe the album title is rather misleading, a more accurate one would have been "gentle reform", but then that doesn't quite have the same ring to it. Still, it is well worth your vote. This is easily one of the best contemporary jazz albums in recent years. Ronny's lucid style is reminiscent of the late, great Wes Montgomery, as well as George Benson. This is a funky collection of tunes that will appeal to acid jazz and hip hop fans.